Anytime you find yourself in need of service for your home air conditioning or heating systems, you want to be certain that you have the name of a team of professionals who can deliver the kind of quality service you need in an efficient and effective manner. 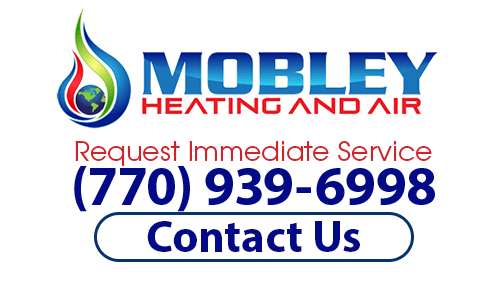 For all of your air conditioning and heating service needs, the only name in quality that you need to know is Mobley Heating & Air. We take great pride in the quality service and results that we are able to consistently deliver to each and every one of our valued customers, and the dedication of our local air conditioning company to deliver top quality results in every service we perform has earned us the trust of many home and business owners alike all throughout the local area. When it comes to your home's air conditioning and heating service needs, we believe that you should never have to settle for anything less than the best, and when you make the call to Mobley Heating & Air, you never will. Mobley Heating & Air is a full service, and fully licensed, team of contractors who are equipped to handle any and all of your residential or commercial heating and cooling needs. We employ only the most highly trained and certified technicians who are ready to help you solve any and all of your heating and cooling service needs, and even offer round-the-clock emergency service. In addition to our full line of quality air conditioning and heating services, we also have a wide range of accessories available to help you maximize the comfort and safety inside your house, as well as maximize your savings on you monthly energy bills. If you have any questions about our full line of high quality air conditioning and heating services, or if you would like to schedule an appointment for service with one of our specialists, give us a call today. Our team of experts are always standing by and would be more than happy to assist you in any way we can. If you want to know more about the heating and air conditioning services we provide, give us a call today at (770) 939-6998 or complete our online request form.